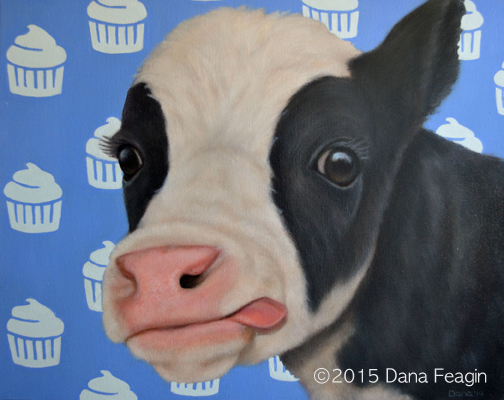 The Funny Farm is a new series of oil paintings showcasing the silly side of farm animals. 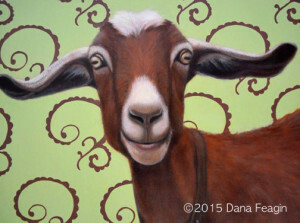 Like companion animals, each farm animal has a distinct personality; they can surprise and entertain us with their antics and expressions. If you smile while viewing these paintings, I have been successful. Enjoy! Dana Feagin is an award-winning animal painter and volunteer for several animal groups in the Rogue Valley. Ten percent of sales from this show will be donated to Sanctuary One, a care farm in Jacksonville, OR.